He just keeps getting better. Another Saturday night. Another championship fight. Another easy bell to bell victory. After the way he handled Guillermo Rigondeaux tonight you have to wonder if anyone can beat him. Or even challenge him. Lomachenko has been dominating opponents in a fashion rarely seen. He is not using devastating power like Mike Tyson. Nor is he using blinding speed a la Roy Jones jr. He is beating guys into submission with superior tactics, footwork and technique. On top of that he is doing this against world class opposition. While fighting his share of gatekeepers Lomachenko has also beaten Nicholas Walters, Guillermo Rigondeaux, Gary Russell Jr., Jason Sosa, with his only loss coming to an overweight Orlando Salido who fouled his way to victory and has avoided a rematch with Lomachenko ever since. Say what you will about Rigondeaux being the smaller man and the older man. 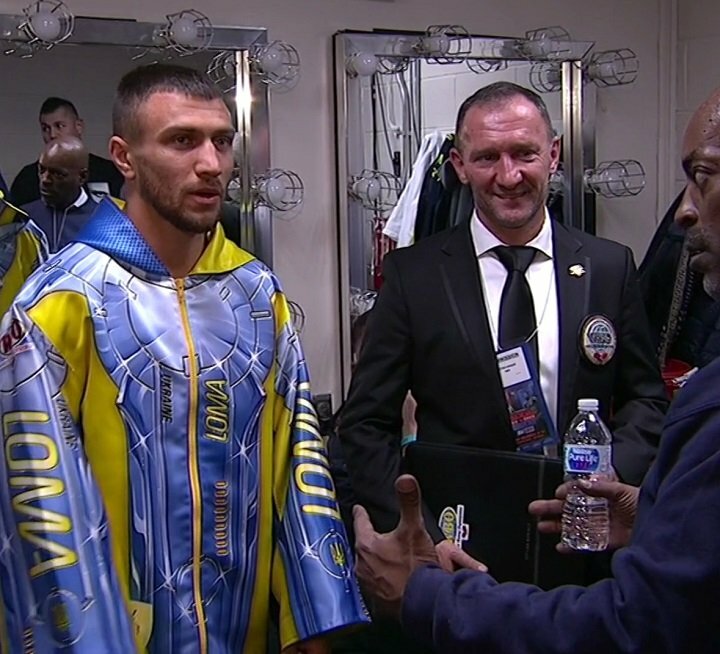 Lomachenko took an undefeated will schooled technical wizard and made him look average tonight. Lomachenko even joke day maybe he would have to change his name to Nomaschenko because his last four opponents have failed to come out of the corner during the fight. Jason Sosa, Nicholas Walters, Miguel Marriaga and Guillermo Rigondeaux all quit for lack of a better term during their fights with Lomachenko. Rigondeaux even cited an injured hand. Boxer’s are all very proud Warriors. Most of us would rather be knocked out then quit in a fight. However when you have no chance of winning in are made to feel both powerless and helpless what other options do you have. That is the feeling that top-level fighters have against Lomachenko. In my 2 plus decades of covering boxing I have never seen another fighter dismantle and embarrass world class championship level fighters the way that lomachenko is doing right now. Maybe Roy Jones in his prime comes close. However Roy did not always fight the best opposition available the way that Lomachenko is attempting to do now. As someone who is a huge fan of Guillermo Rigondeaux and vasyl lomachenko I was very much looking forward to this fight. I was expecting a very close back and forth technical chess match and instead I saw a one-sided boxing lesson that forced a proud cuban to quit. None of us are in Guillermo Rigondeaux’s body. We will never know how hurt he really was, however many fighters have gone on to win fights with broken hands. As we look towards boxing in 2018 you have to wonder is there anyone all the Horizon that can even challenge the great Vasyl Lomachenko.